The gull dispatched the crab pretty promptly. He flipped the crab onto it's back and then ripped off the legs. 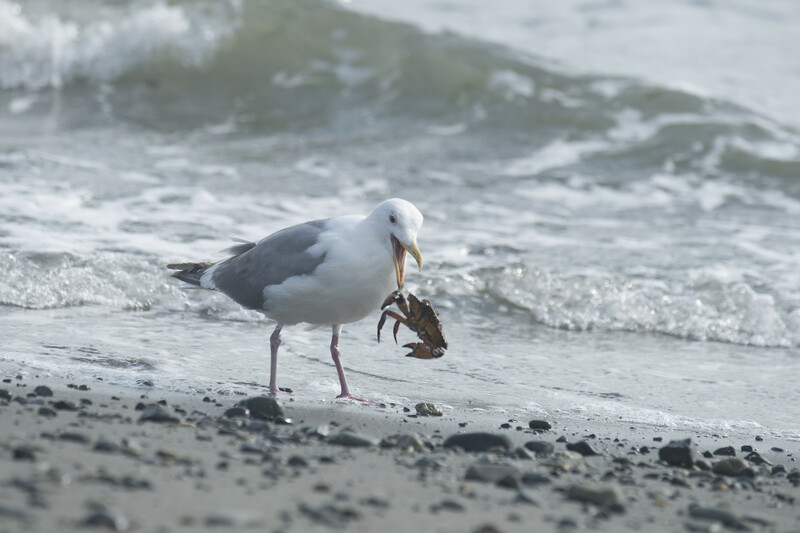 One he had leg holes, he ripped open the shell and at the body of the crab.